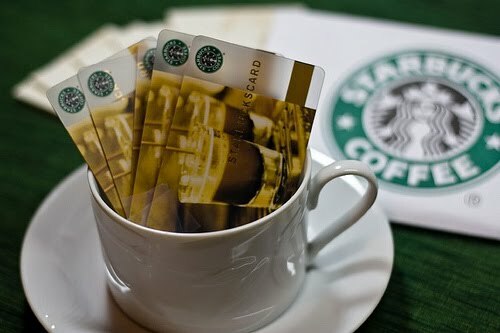 NYC Recession Diary: SIGNPOST: $5 Starbucks gift cards for $2! SIGNPOST: $5 Starbucks gift cards for $2! Today only Signpost is offering discounted Starbucks gift cards - $5 gift cards for $2! They're selling 10 of each on the hour. Click below to win at the appropriate times! Click to win @ 12pm! Click to win @ 1pm! Click to win @ 2pm! Click to win @ 3pm! Darn I wish I hadn't missed this! The 'bucks gets SO much of my money. HA!